Click on your horoscope sign below to read your weekly horoscope for Monday April 22, 2019. Get your free weekly horoscope and Tarot reading by Saturday of every week. A general weekly forecast for all signs also follows at the bottom of this page. 07:06 pm – Sun conjunct Uranus at 02 ♉ 31 signals a time of excitement, unexpected change, freedom and rebellion. You should feel a strong urge to break free from routine, doing something totally different from your normal activities. To avoid restlessness and nervous tension, it is better to be active and look to do something out of the ordinary, and not wait for change to happen to you. 02:47 pm – Pluto Retrograde at 23 ♑ 09 is a time of reflection about power and control in your life. If people have controlled or manipulating you then now is the time to let them go. If you have been too controlling of others or situations then it is time to let go. This is not a time for power tripping but a time for elimination. Fated events and repeating themes will reinforce which of your controlling habits, compulsions, addictions or prejudices must be eliminated. 06:18 pm – 3rd Quarter Moon at 06 ♒ 23 sextile Venus has a tender loving influence which makes this an ideal time to be with your partner, friends and family. This is a good time for having friends over for dinner and hosting celebrations. Increased charm and beauty bring social popularity and success if dating. Your openness and honesty in sharing your feelings supports true friendship and genuine love. 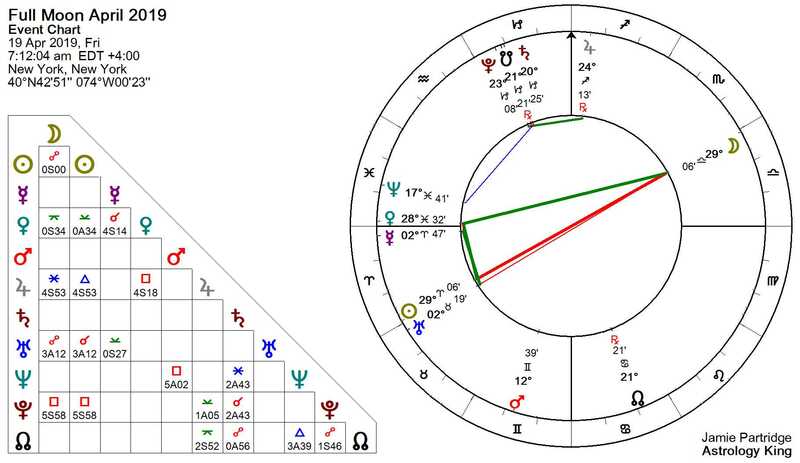 09:03 am – Mars square Neptune brings low energy, suspicion, deceit, lies and scandal. It is normal to feel weak and discouraged under this confusing influence. Guilt is also possible and you may recall hurting someone in the past. It is important not to let such negative feelings lead to self defeat or even self harm. Yes, you must recognize and admit to yourself any uncomfortable things but work through them or seek professional help. 07:14 pm – Venus square Jupiter is ideal for having fun but not so good for working hard. You should be feeling happy, optimistic, generous and very sociable. Problems will arise if you need to attend to more serious matters in which a responsible or conservative attitude is needed. This is generally a good time for socializing and making new friends. Care must be taken, however, not to lower your standards if dating as this could lead to wrong choices or embarrassing situations. 07:12 am – Full Moon at 29 ♎ 06 is opposite Uranus. This means your need for change, excitement or freedom could make you restless and impulsive. Unexpected events and unpredictable behavior could add much tension to close relationships. The full moon also highlights relationship imbalances involving emotional support and love. 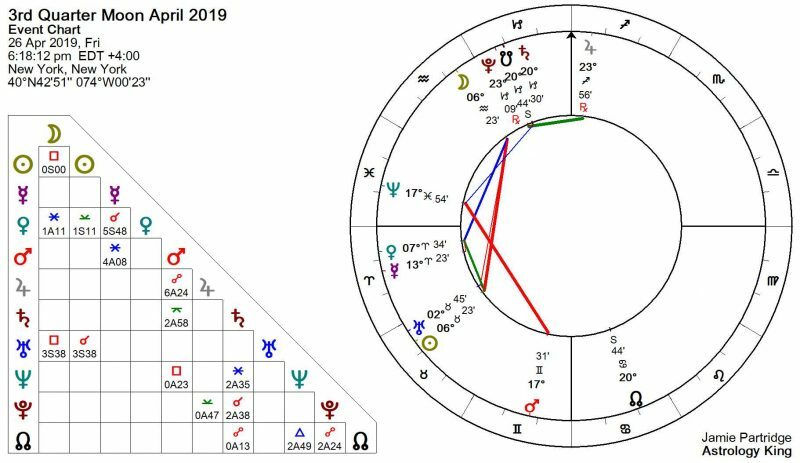 Asteroid Hybris conjunct the full moon calls for compassion and humility to replace overconfidence and arrogance.